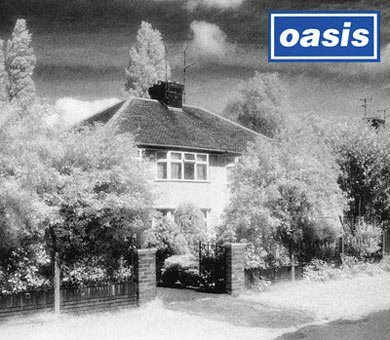 The album cover for the Oasis single “Live Forever” features a photo of “Mendips” the childhood home of their idol John Lennon. 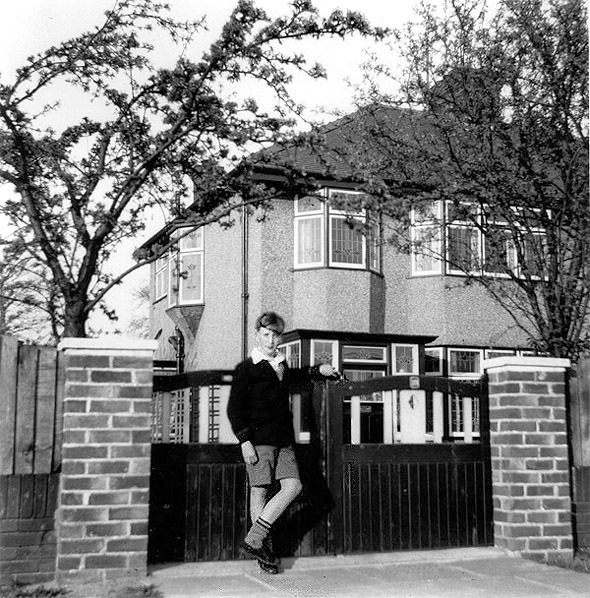 Here’s a photo of a young John Lennon outside the home in the early 1950’s. “Mendips” as it is known is a 1930s semi-detached property and is in Woolton, south Liverpool, England. The house belonged to Lennon’s Aunt Mimi and her husband George, who took him in 1945 when he was five because his mother could not cope after John’s father left them. John remained here until 1963 when he was 23 years old. The address is 251 Menlove Avenue, Liverpool L25 named “Mendips” was eventually bought by Yoko Ono who donated it to the National Trust. 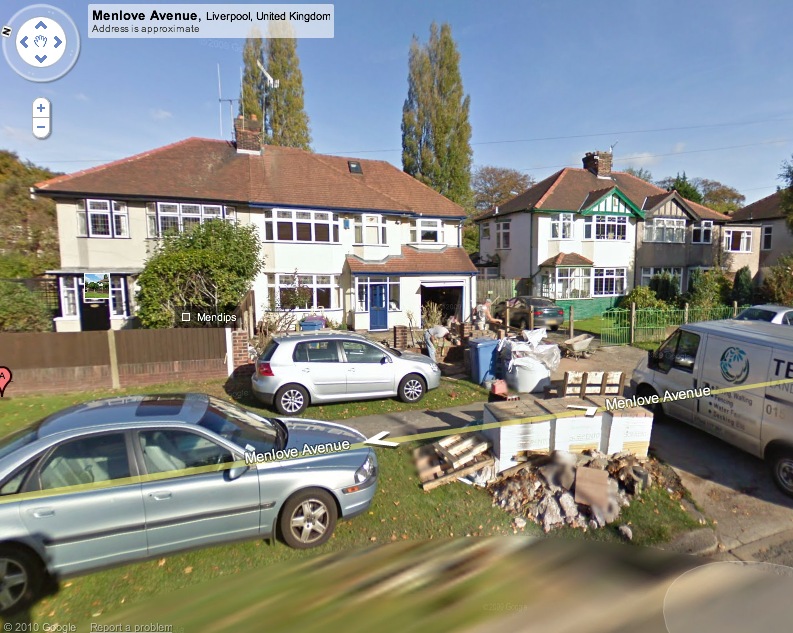 Here’s the google street view of Mendips. 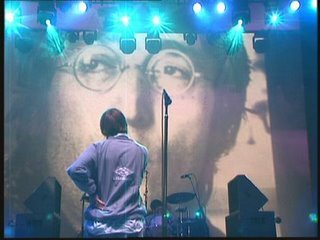 Oasis usually dedicates “Live Forever” to John Lennon when playing live by putting Lennon’s image on the video screen behind them.